Bisibelabath is a dish that originated in Karnataka. Sambar sadham or Bisisbelabath. 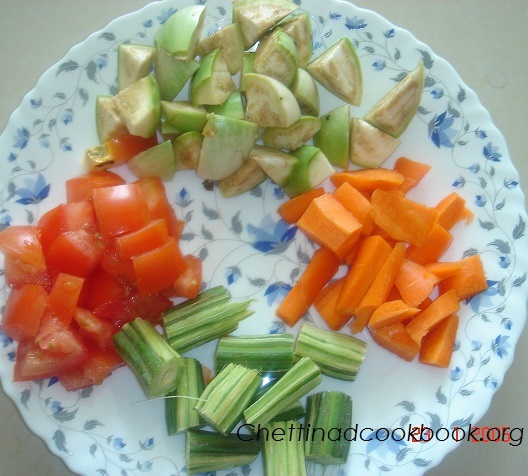 On request, I feel to post this on my blog to encourage them to cook for this weekend as a special recipe. 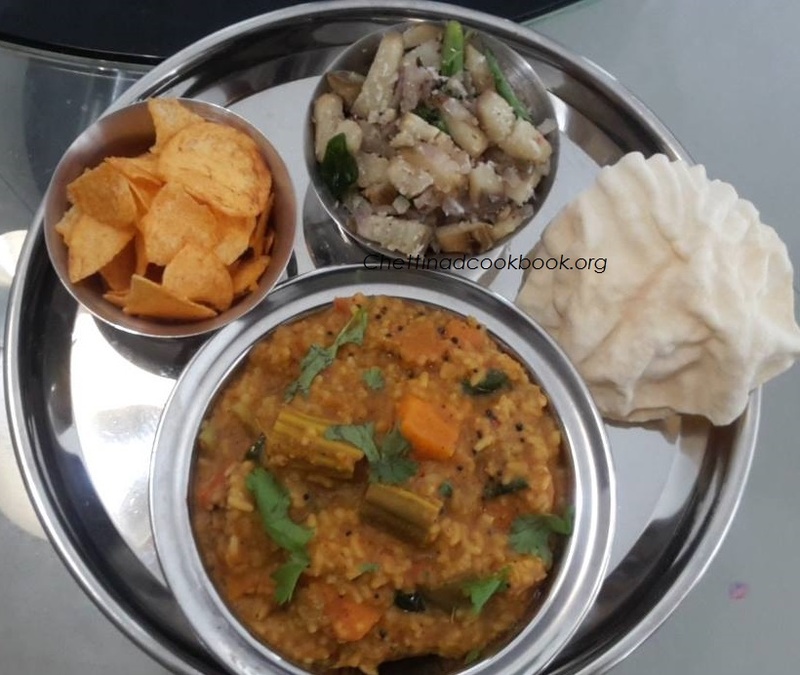 We used to have the regular menu for lunch, Sambar with plain rice and vegetables as additional.Here this is a mix of all together with freshly ground Masala which enhances the Aroma and Taste.Simply awesome with Papad or chips or any vegetable stir fry can match this wonderful Bisisbelabath. When we look at its health benefits, there is in no doubt that this dish is very healthy with rice, as it is abundant in carbohydrates, and it acts as fuel for our body. 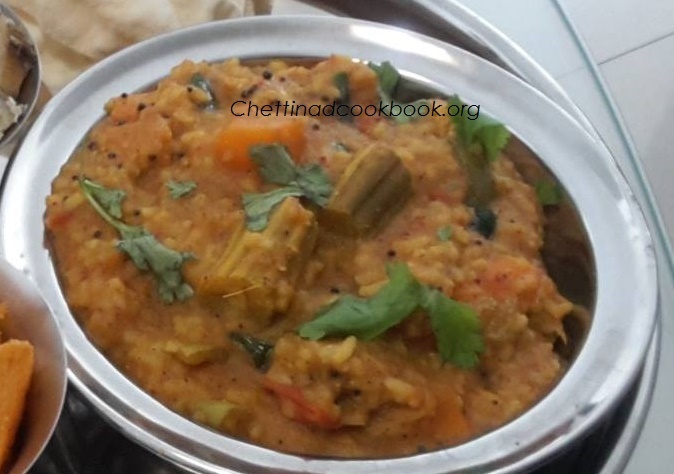 Protein is rich in Dal with soluble fiber, Vegetables rich in vitamins and nutrients, along with Aromatic Masala which enhances the taste, altogether Bisibelabath/Sambar sadham is a healthy and filling dish, try and Enjoy! 1.Heat pan with one tsp of oil and roast the above ingredients to golden colour, grind to smooth powder. 2. Pressure cook Rice and dal as you prefer separately or together, I have cooked both together for 3 whistles with 3 cups of water. 3. 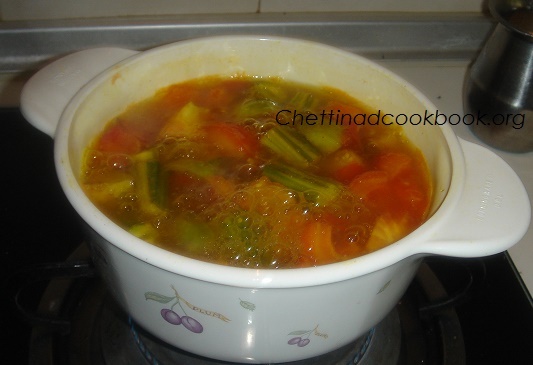 In a vessel boil, 2 cups of water add all cut vegetables, Tomato and Onion and allow it to boil. 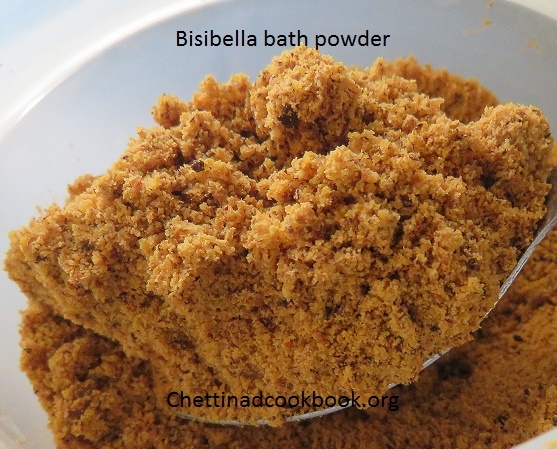 Now turmeric powder, tamarind extract, salt and Asafoetida, when the vegetables are soft cooked add the bisibele bath masala powder half portion of the ground or masala 1/4 cup of the powder approximately mix it well without any lumps. Add cooked rice and dal, to the boiling sambar stir it well, Let it cook on low flame for 3 more minutes. 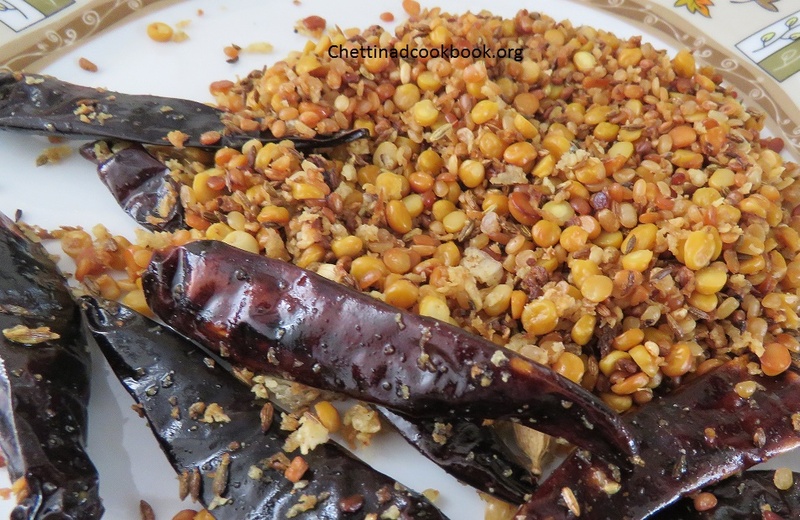 Finally, season with Mustard seeds, a pinch of asafoetida (Hing) and curry leaves, Ground nuts or Cashewnuts to enhance more crunchiness( it is optional), sprinkle some fresh Coriander leaves on top and serve with Papad or chips. Like very much . Excellent way of instructions !! !